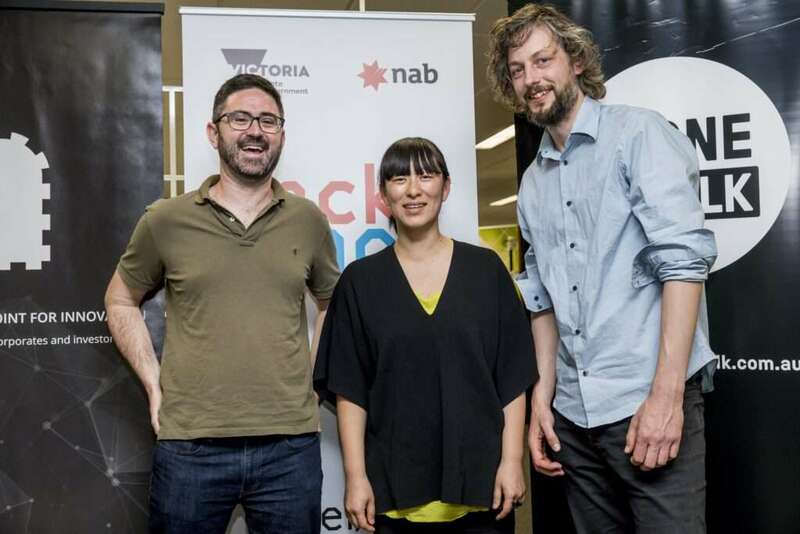 Two Melbourne-based app developers have won a small business-focused open data hackathon which kicked off Australia’s Intersekt fintech festival and illustrated the strong benefits of collaboration between major banks and the fintech community. Mei Sun and Adriaan Stellingwerff took out the $5,000 first prize in the NAB Hackathon for their demo product – named Just in Time – which they prototyped over a weekend. Their proposed product helps educate small firms on good business practice after analysing their transactional data. This may include reminding a business about the need for insurance, providing tips on upcoming job interviews and giving options to help maintain cashflow. As part of the hackathon, 13 teams were given access to NAB’s application programming interface (API) Developer Portal and were asked to come up with new solutions to help small to medium businesses reduce administrative burdens and access new customer segments or markets. The hackathon was a strong example of collaboration in the fintech community. Not only did a major bank (NAB) collaborate with the fintech community to explore open data innovation, but two major ecosystem players in Melbourne-based York Butter Factory and Stone & Chalk also came together to promote and co-host the event. “By bringing the Stone & Chalk and York Butter Factory communities together, we were able to tap into a larger network and therefore hold a far stronger event,” said York Butter Factory business liaison officer Sahand Bagheri. Stone & Chalk Melbourne GM Alan Tsen said it may have been the first time in Australia that two community builders had come together to hold a hackathon. NAB small business lending general manager Daniel Carr said the winning team had developed a customer-focused education solution which, through the smart use of data, could build the confidence of small business owners. “There are lots of educational guides out there for small business – the difference with this proposed solution is that it provides this education in context and in real-time based on the business data,” Mr Carr said. “It was a solid approach into the possibility of what you can do with data when you have a customer-focused lens to your work. Ms Sun and Mr Stellingwerff are currently developing apps, including video and camera tools. The weekend hackathon experience was their first foray into financial services. “We came here with a general idea to create a personal finance product and during the weekend came up with the idea of making it an educational-style tool for businesses,” Mr Stellingwerff said. “We found the hackathon environment great – it meant we could put everything else out of heads for a weekend and put ourselves under pressure to come up with a solution. Apart from taking out the $5,000 first prize, Ms Sun and Mr Stellingwerff will also present their proposed product on-stage at this week’s Collab/Collide Summit. The hackathon comes as the Australian Government ramps up its efforts to create an open banking framework by 2018. In July, the government announced an inquiry into open banking, and followed this with the publication of an issues paper in September. Being held in Melbourne from 27 October to 3 November, Intersekt is Australia’s inaugural fintech festival. Apart from the hackathon, it includes a two-day Collab/Collide Summit on 2 and 3 November, two community days and a one-day blockchain event. The State Government of Victoria is Intersekt’s presenting partner, with other partners including York Butter Factory, Stone & Chalk, Next Money and FinTech Victoria.